To use the system you will need to obtain login details from reception (please ensure you have photo id with you), or from a GP during consultation. 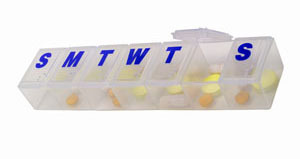 We operate a computerised service for repeat prescriptions. by liaising with your chemist. All requests will be available for collection within 48 hours after receiving (excluding bank holidays and weekends). Please inform the surgery if the hospital makes any changes to your regular medication. The NHS has issued guidance that recommends GPs do not routinely prescribe medication for certain self-limiting conditions or those that lend themselves to self-care where medications can be purchased easily at low cost. Over the coming months the practice will be reviewing it’s prescribing in these areas. A self-care guide for minor illness can be found here. We would appreciate your support in this.